Gustavo T. Quintanilla was born in Nuevo Laredo, Mexico on August 13, 1950. Gustavo’s interest in immigration law has been a focal point of his thirty year law career. He completed his primary studies in Mexico and continued with his secondary education and professional studies in the United States of America. Gustavo earned a Bachelor’s Degree and a Masters Degrees in Criminology and Corrections from Sam Houston State University in Huntsville, Texas. In 1979, he graduated from the University of Houston, Bates College of Law with a Doctorate Degree in Jurisprudence. From 1979 to 1984, he was employed with the Webb County District Attorney’s office and attained the position of First Assistant District Attorney. Since 1984, Gustavo has been a partner/member in the Law Offices of Hall, Quintanilla, and Alarcon, in Laredo, Texas, where he specializes in the practice of immigration law. Effective June 15, 2012, certain young persons who were brought to the United States through no fault of their own as young children and meet several key criteria will be considered for relief from removal from the country or entered into removal proceedings. Those who demonstrate that they meet the criteria will be eligible to receive deferred action for a period of two years, subject to renewal. Only those individuals who can prove through verifiable documentation that they meet these criteria will be eligible for deferred action. Individuals will not be eligible if they are not currently in the United States and cannot prove that they have been physically present in the United States for a continuous period of not less than 5 years immediately preceding June 15, 2012. 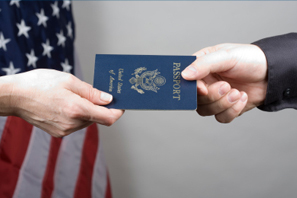 The use of prosecutorial discretion confers no substantive right or pathway to citizenship. Only the Congress, acting through its legislative authority, can confer these rights. Gustavo is a pioneer NAFTA immigration practitioner in Laredo, Texas. In 1994 he became the first attorney in the busiest inland port in the nation to obtain approvals of investor’s, Treaty Trader and TN professional visas pursuant to the North American Free Trade Agreement, (NAFTA). 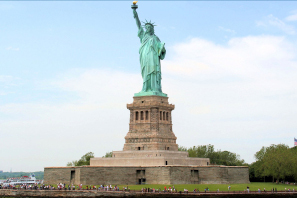 Gustavo dedicates a major part of his immigration practice to processing employment-based, non-immigrant and immigrant visas for H-1B professionals as well as L-1, L-2, intra-company executives, managers, supervisors and employees who possess specialized or proprietary knowledge. Since 1998, Gustavo and The Law Firm, Hall Quintanilla and Alarcon have represented the Association of Forwarding Agents of Laredo, (ALFA), whose 200 members are Licensed Mexican Customs House Brokers in the areas of Laredo, Texas, and Colombia, Nuevo Leon, Mexico. During this time, Gustavo has represented countless individual members of (ALFA), and of its affiliate association, the Asociación de Agentes Aduanales of Nuevo Laredo, Mexico. Gustavo also renders immigration services to entrepreneurs who engaged in various investment ventures. 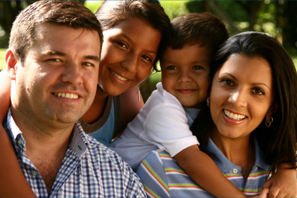 Gustavo’s immigration practice includes family-based immigration for immediate relatives, and all other family preference categories, adjustment of status, multiple entry parole permits, and employment authorization documents for qualified petitioners.